Seafood always tastes better near the ocean. But it’s not just a freshness thing — there’s a mental element to it, too. When in Maine, I want a seat in full view of the harbor. The more fisherman’s caps I see before tucking into a lobster tail, the better that tail’s going to taste. 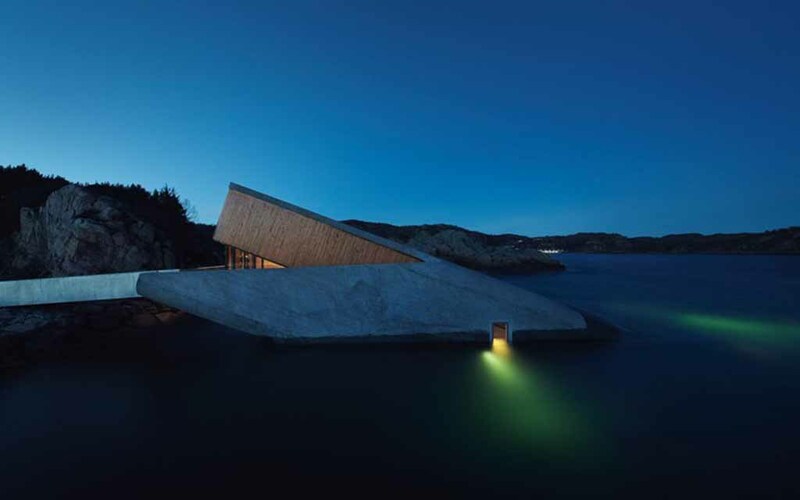 That means meals at Under — a seafood restaurant on the southern coast of Norway that’s half-submerged literally underwater — should be the best seafood we’ve tasted yet. We wrote about the concept way back in October of 2017, and Under finally opened today after years of careful construction. 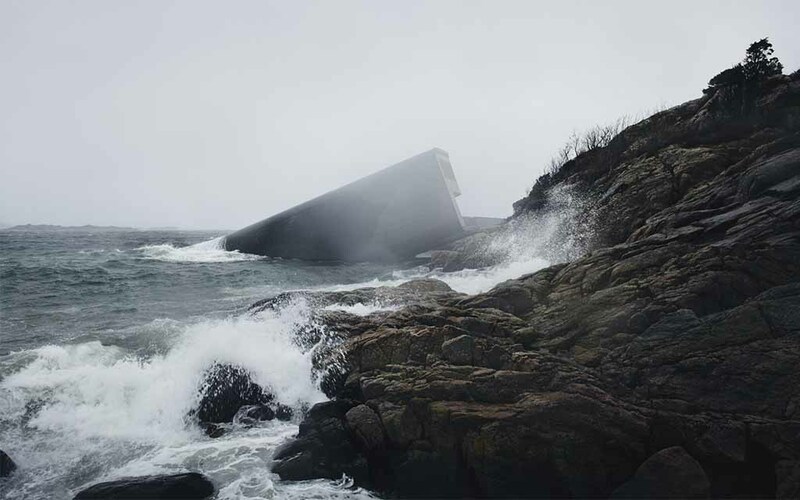 Brought to life by Norwegian design firm Snøhetta, the restaurant rises out of the rocky Lindesnes beach like a beached whale. But while the welcome area is above sea level, most of its environs are beneath the surface. The cocktail lounge sits just below the water-break and the 40-seat dining room is firmly 18 feet below the North Sea. 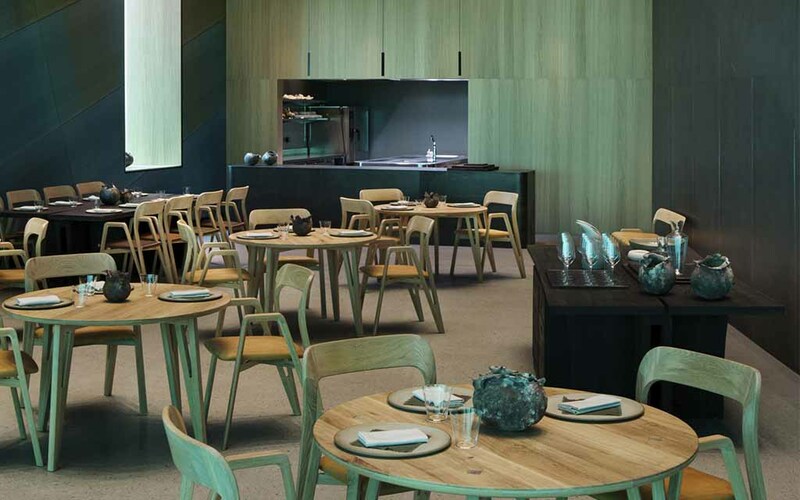 To create a space that could handle years of an indomitable tide and stronger storms while housing a world-class kitchen, Snøhetta had to seal the restaurant in concrete three feet thick. Over time, the exterior of the restaurant is expected to form an artificial coral reef, which will encourage marine wildlife to the area. That’s all the better: there’s a 36×13′ window in the dining room with a direct view of the ocean. 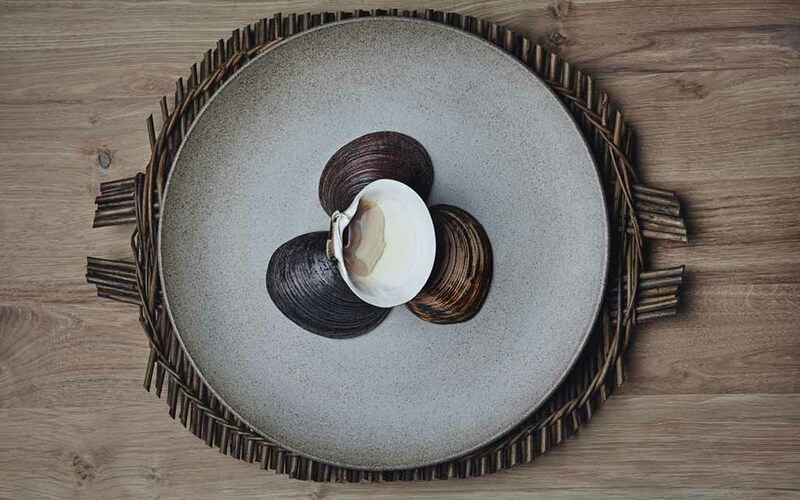 And while the food here is primed to be excellent — Under enlisted a 16-person team headed by Danish chef Nicolai Ellitsgaard, who will mix the Scandinavian pull-from-the-ground ethos with locallysourced seafood — the focus on preserving what’s outside that window is of major concern, too. In its off-hours, Under will double as a research center for marine biologists. As for getting there, it’s going to be a little tough. Under is on the absolute southern tip of Norway. We recommend flying into Oslo, renting a car and driving the 3.5 hours down the coast. 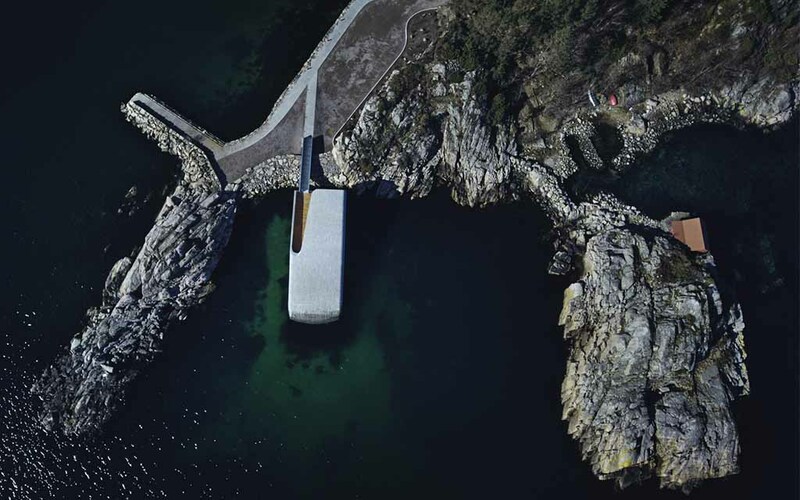 Those famous fjords are on the west coast (apologies) but you’ll still witness commanding views of the sea, and can pitch up a night at Lindesnes Havhotell, a boutique hotel just a five minute walk away from Under. To make reservations at the restaurant, head here. And to follow them for updates on social, head here.